HPU’s trained team of officers and dispatchers safeguard campus 24/7. Security officers are stationed at each welcome center and throughout campus to answer questions, provide assistance and ensure a safe, controlled campus environment. The men and women of the HPU security team are certified in first aid and receive regular training in security response. They collectively bring more than 300 years of police, military and fire/EMS experience to the university. More than 60 blue light security call boxes are available throughout campus to contact dispatchers and request emergency assistance. These Campus Assistance & Response to Emergency points, or CARE points, are one of many technological improvements that ensure students are out of harm’s way. The Transportation Department operates shuttles 20 hours a day, seven days a week when school is in session. All transportation drivers are certified, and maintain their Commercial Driver’s License and Department of Transportation medical cards. Two campus shuttle lines take students to their classes and residence halls, while other shuttle routes take students to local retail establishments, malls and regional airports. These shuttles provide students with a convenient, safe and secure method of transportation. Key card access is required for all academic buildings and dorms. Residence hall card access is given to students who live in the halls, while academic buildings lock in the evening. 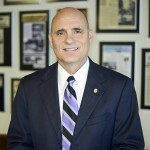 HPU is frequently commended for its safety department. 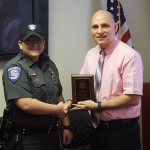 For example, HPU has been ranked 14th in the nation by SECURITY magazine, and one of the top 25 safest campuses by the National Campus Safety Summit. The Security Department has also been highlighted in the Campus Law Enforcement Journal and The Safewise Report. The Passport Card is the only form of payment accepted on campus. This “Cashless Campus” model offers a convenient, yet secure, way for students to pay for purchases. It frees students from having to carry an abundance of cash, and also allows family members to easily deposit funds into their student’s campus account. Student Life staff are on call 24 hours a day to assist with students’ needs. In addition to the RAs who are on duty each night, there are also two full-time Resident Directors on duty. The security staff works closely with Student Life representatives to discuss best practices and help provide extraordinary service. A well-lit campus is a safe campus. 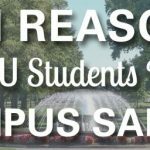 Whether students are walking to dinner, an evening class, their residence hall or going for a late-night run, their path is illuminated by hundreds of light poles to foster a safe environment. 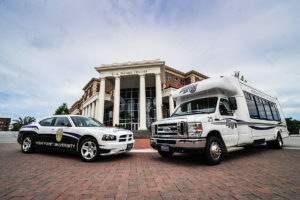 Students are automatically enrolled in HPU’s emergency mass notification program, which sends Panther Alerts and Panther Advisories to the HPU family when a situation may arise. 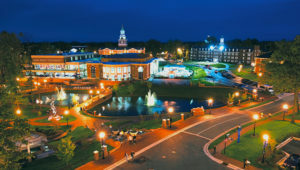 The system is tested regularly and can send notifications through a text message, email, voice message, campus phones, campus computers, social media, the HPU homepage, an outdoor PA system and more. The LiveSafe mobile app empowers students to easily contact HPU Security to request assistance or report safety concerns. Users can include audio messages, photos and video clips when submitting reports to HPU Security, while an anonymous submission option allows another level of protection. Through the SafeWalk feature, students can share their location with other invited users so their friends and family can look out for them remotely. LiveSafe also features a variety of useful campus and emergency preparedness information.